Residents can pay their dues online through our Integrated Payment Gateway. Instant E-Receipts is generated and their Dues get cleared off. 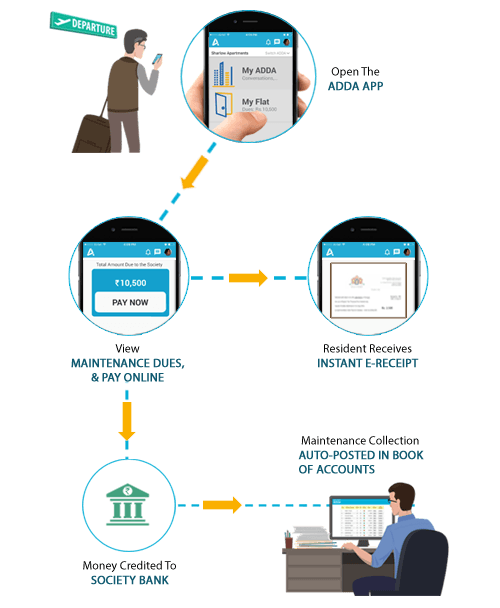 Payment gets routed to Association bank directly from Nodal Bank. Amount will be settled within T+2 days.